The new Crystal-View frameless balustrade system is most complete system yet. It is the fastest system to install with no need for any expensive additional tools. The glass is fully adjustable which will allow for a straight line installation when no handrail is been used. 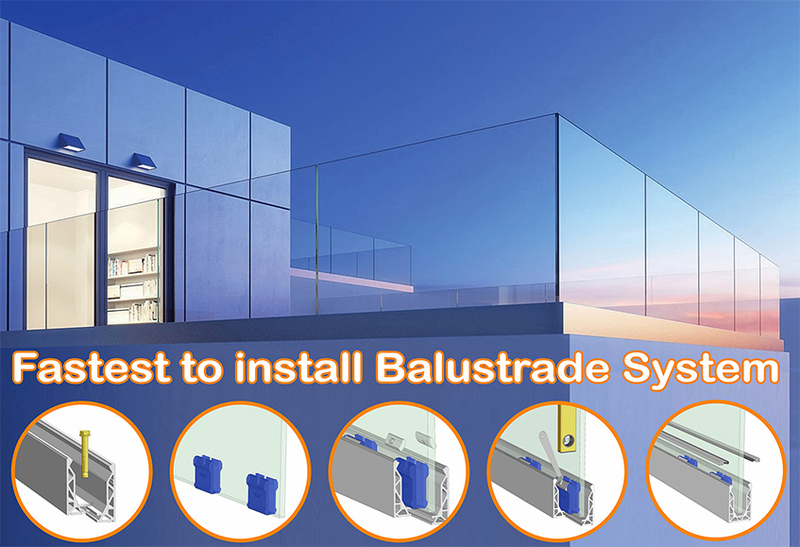 It is suitable for indoor, outdoor and even coastal installations. Available in both surface mount and side fix options for 12 - 21.5mm thick glass. Crystal-View has been designed to take a 1.5Kn loading on 19mm glass with less than 25mm deflection in different installation scenarios.